Innovative. Pioneering. Brave. Until his death in January 2016, David Bowie created art that not only pushed boundaries, but helped fans understand themselves and view the world from fantastic new perspectives. When the shocking news of his death on January 10, 2016 broke, the outpouring of grief and adulation was immediate and ongoing. Fans around the world and across generations paid homage to this brilliant, innovate, ever evolving artist who both shaped and embodied our times. 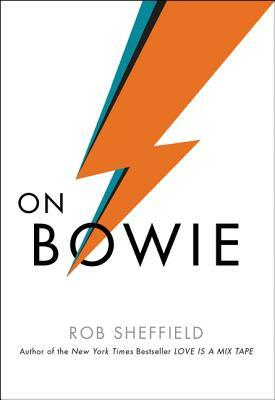 In this concise and penetrating book, featuring color photographs, highly regarded Rolling Stone critic, bestselling author, and lifelong Bowie fan Rob Sheffield shares his own feelings about the passing of this icon and explains why Bowie’s death has elicited such an unprecedented emotional outpouring from so many lives. Rob Sheffield is a columnist for Rolling Stone, where he has been writing about music, TV, and pop culture since 1997. He is the author of the national bestsellers Love Is a Mix Tape: Love and Loss, One Song at a Time and Talking to Girls About Duran Duran: One Young Man’s Quest for True Love and a Cooler Haircut, as well as Turn Around Bright Eyes: A Karaoke Journey of Starting Over, Falling in Love, and Finding Your Voice and On Bowie.